This Custom BMW Dnepr Bobber was found tucked away down some side streets, sitting atop a platform of a post war delipidated building. 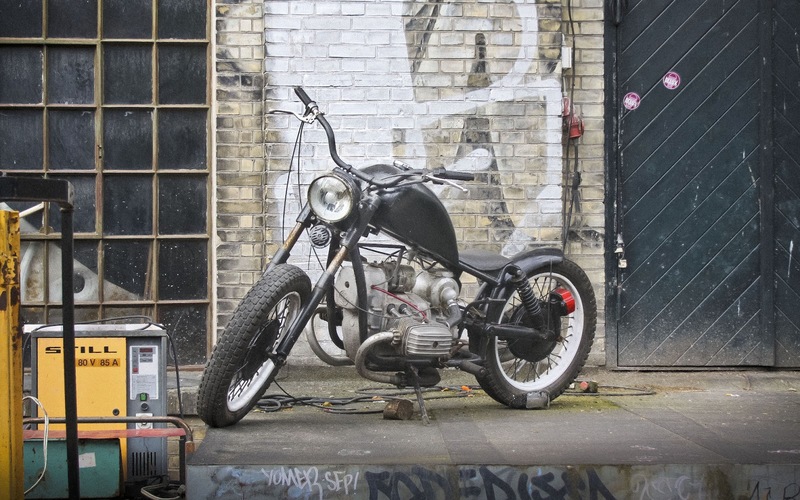 Not sure if it ran or not but it fitted perfectly into its surrounds amidst the graffiti and industrial machinery. 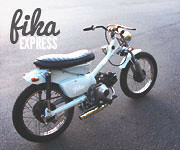 I'm not exactly sure of the year or model so correct me if I'm wrong. 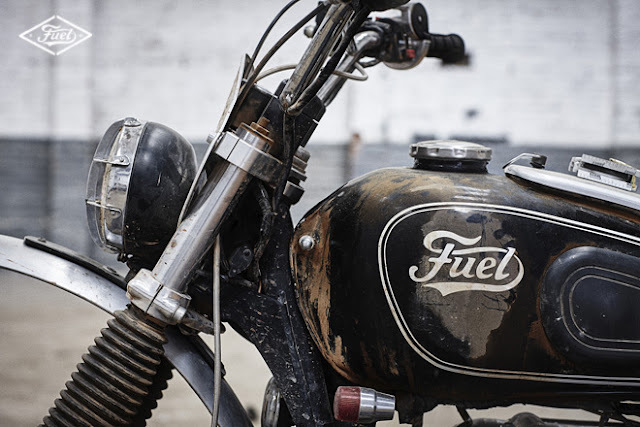 Fuel motorcycles have done some fantastic builds but this one caught my attention as it was for a fellow Aussie who had it purpose built to participated in the African Scram which is also organised by Fuel. 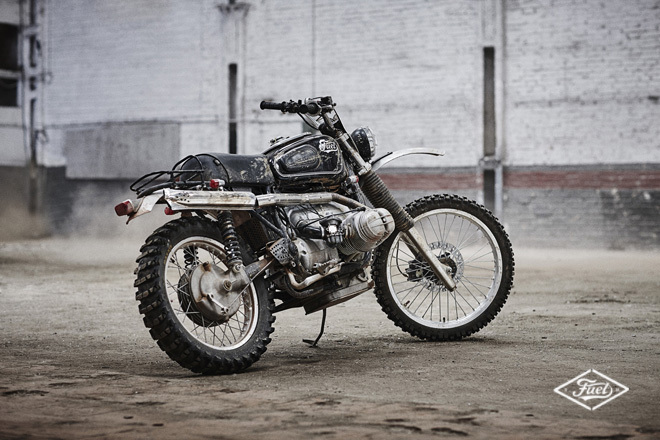 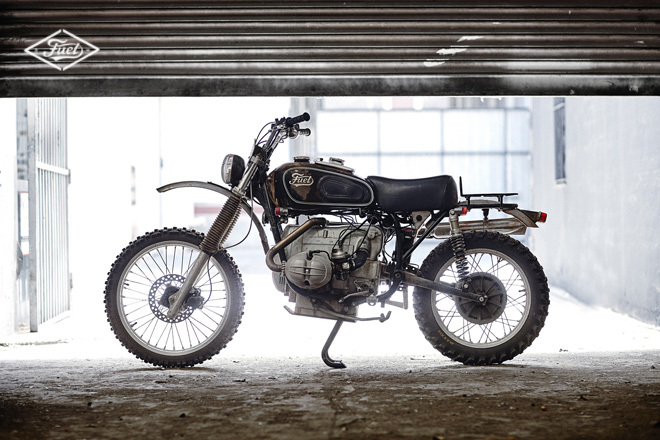 They've turned this classic BMW R100/7 road goer into a sand spitting Enduro ready to blast the spots off cheetahs, and take on the deadliest desert dunes (try saying that 3 times fast). 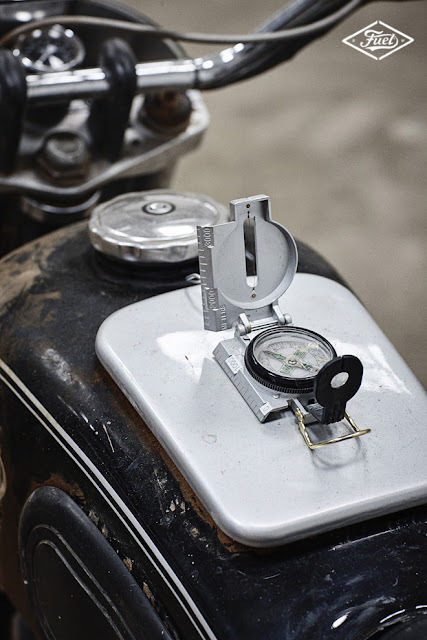 You can read more about the finer details over on their website. 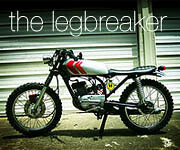 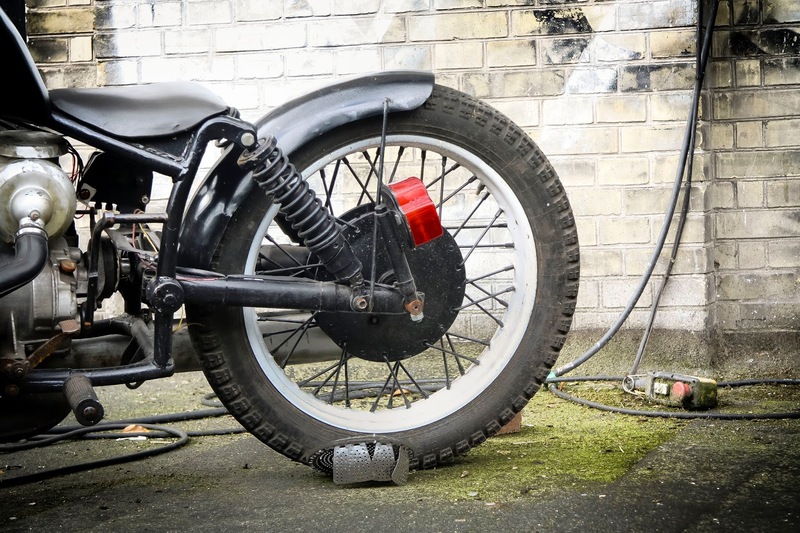 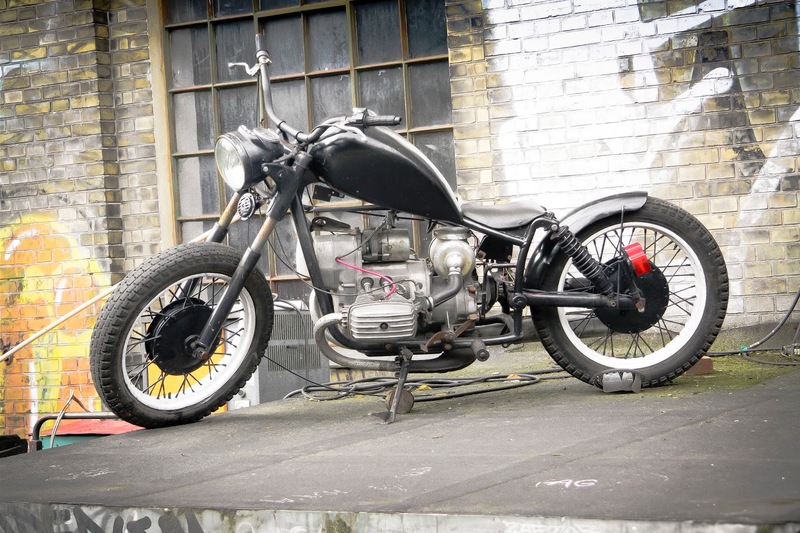 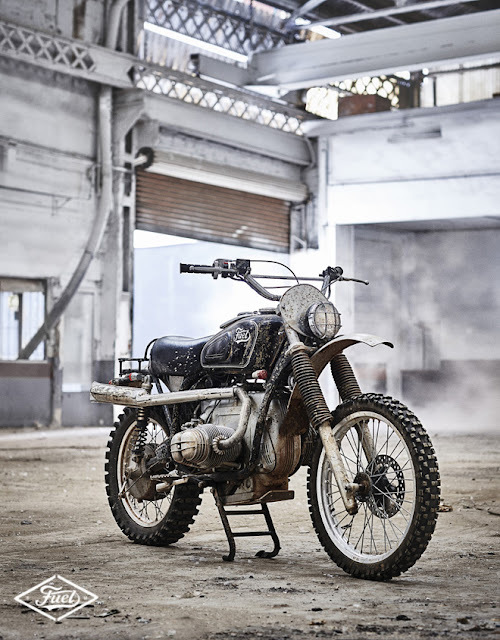 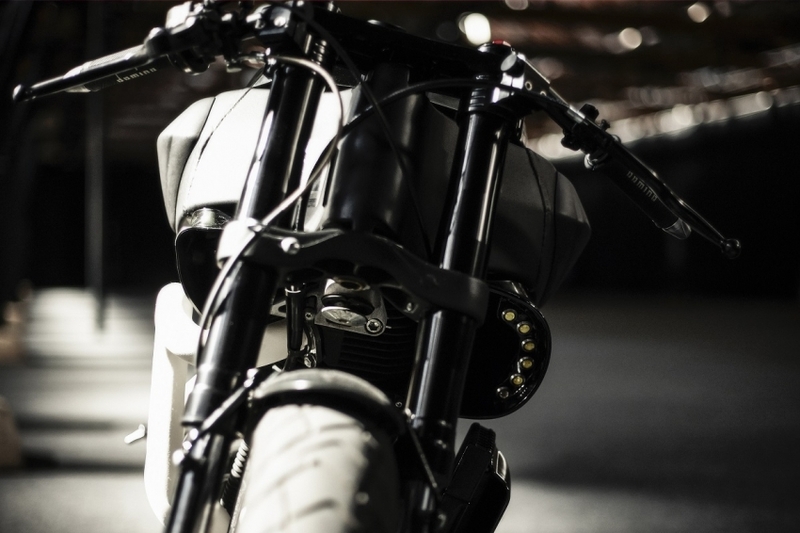 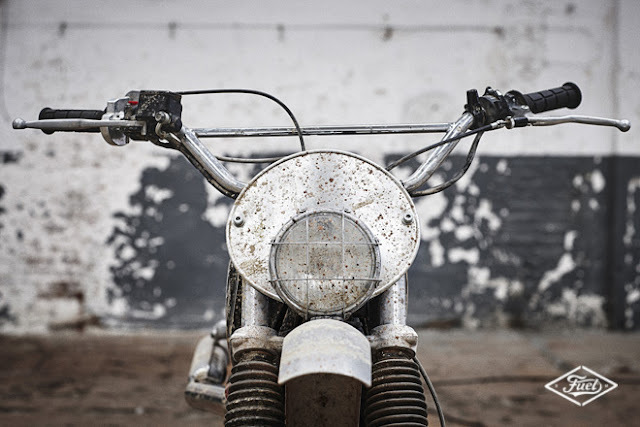 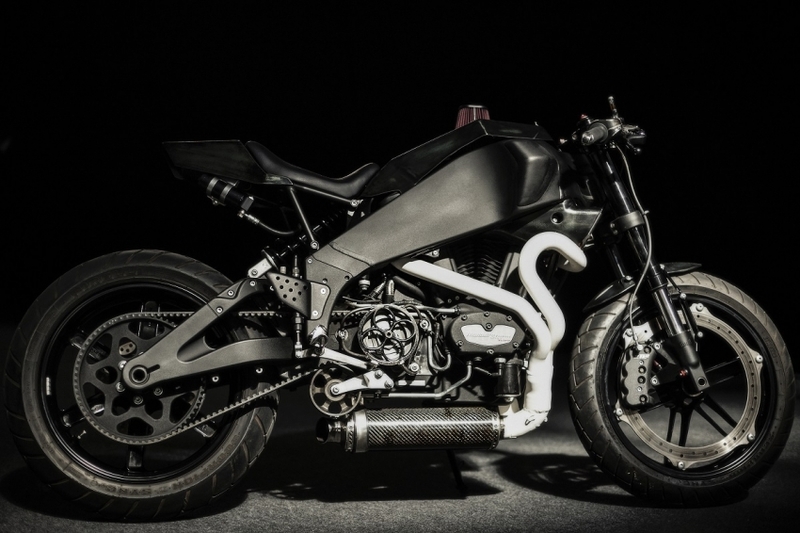 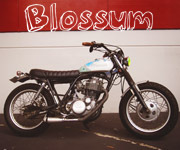 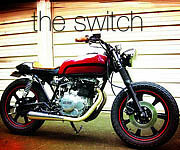 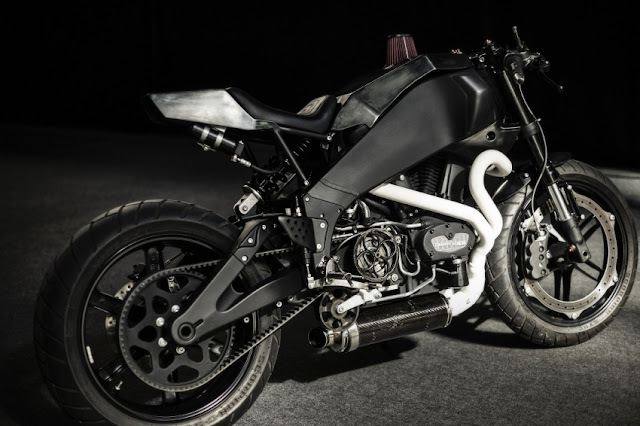 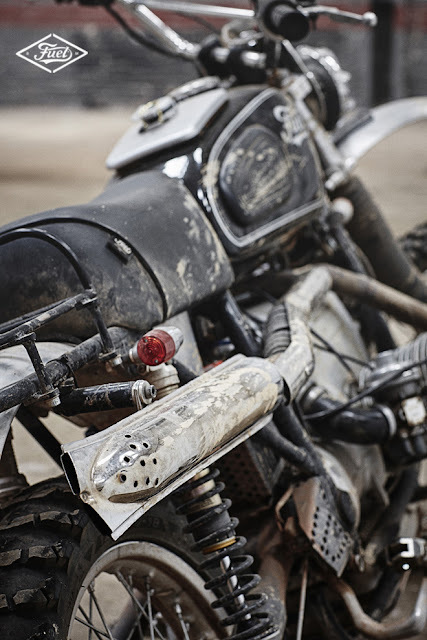 MotoKouture is a Belgium custom shop which focusses on creating bespoke motorcycles. 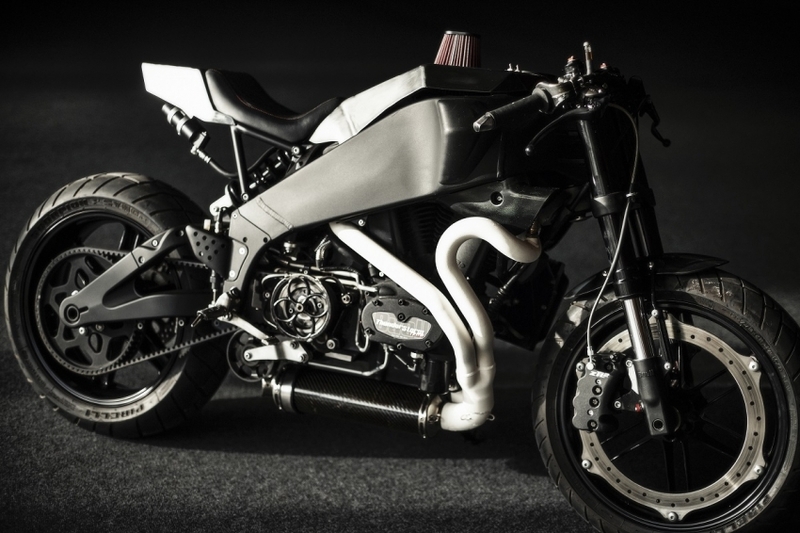 This time their attention has been turned towards a Buell XB12. 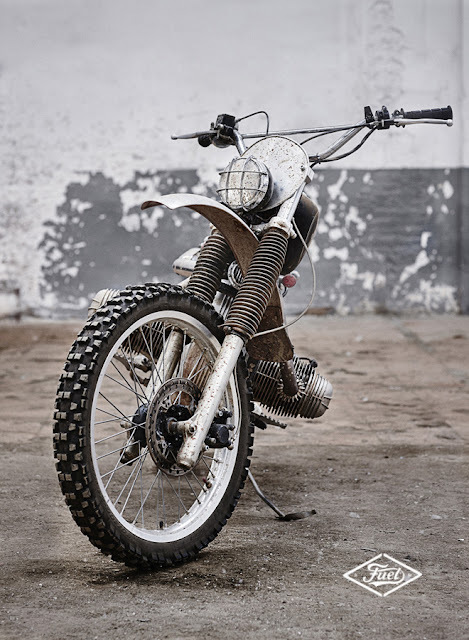 I love custom Buells, and this is no exception. 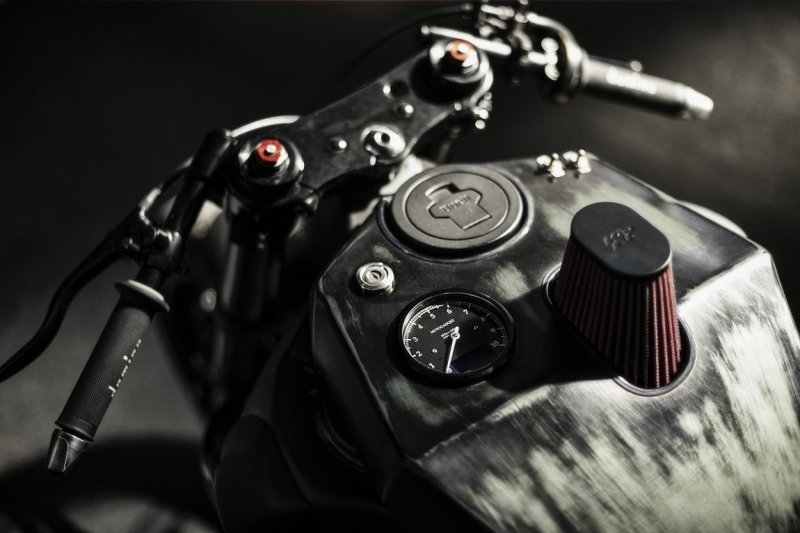 They've created something special with the stealthy appearance and raw finish. 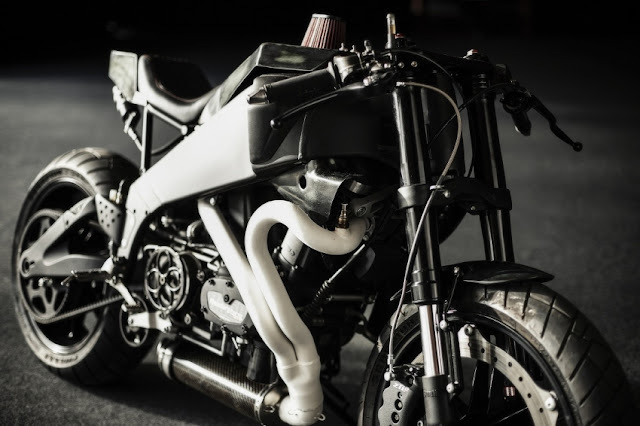 The fabrication on the tank is a highlight by integrating the air filter which is normally fitted to the side of the bike. It's the first bike I've seen to have the filter on top of the tank, and being an unfaired bike it's not a bad place to have it. 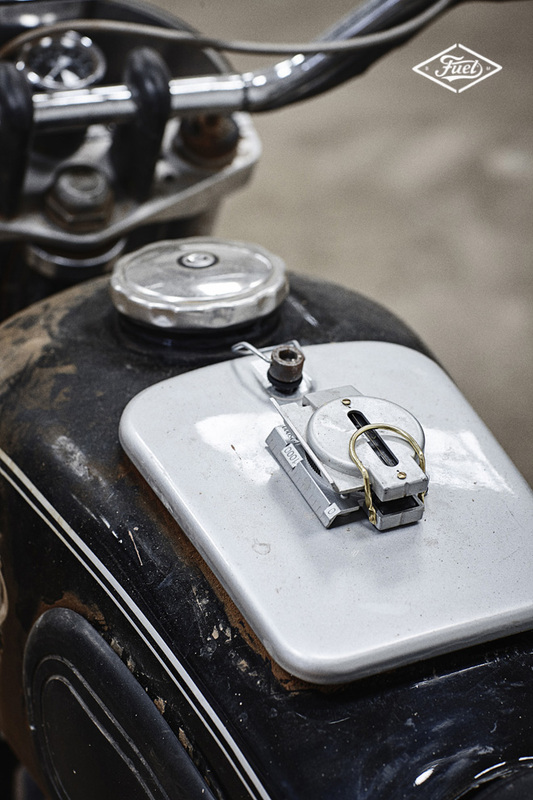 They're also running the speedo and a couple of toggles also. 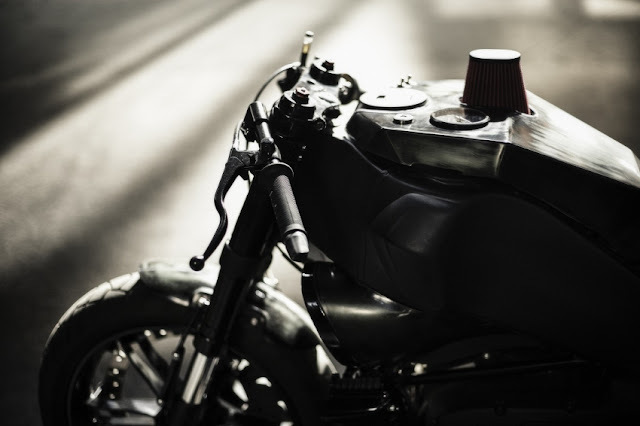 Their custom tail section also stands out with a more angular shape to the standard stock cowl. 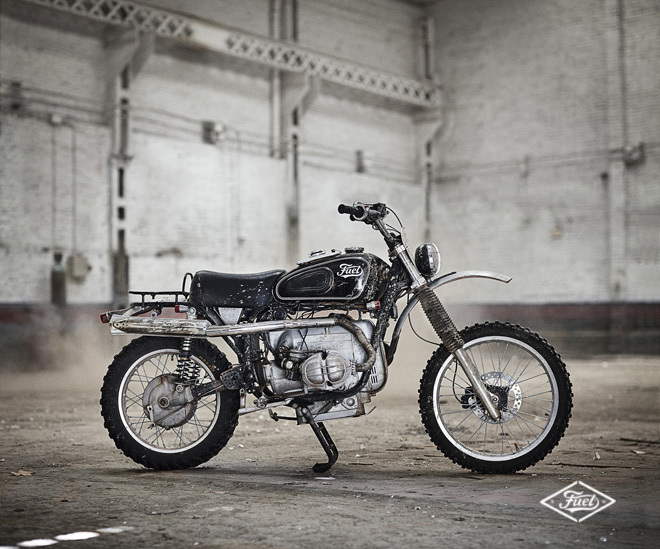 You can see more of their fantastic work over on their website.